For every feature that makes Windows 10 awesome 10 Surprising Reasons Why You Will Like Windows 10 10 Surprising Reasons Why You Will Like Windows 10 It's almost cool to hate on Windows 10 these days. Don't let that deprive you of all the benefits Windows 10 will bring! We show you what you're missing out on. 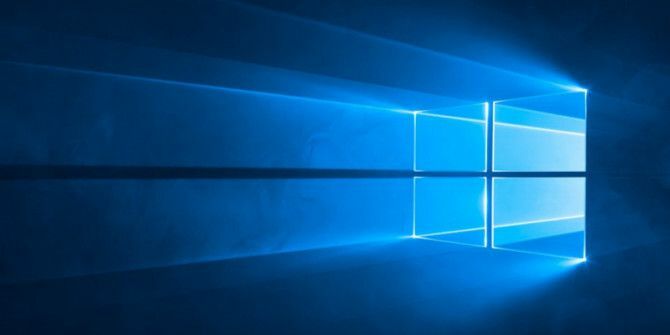 Read More , there are a handful of other features that will turn you away from it altogether 5 Reasons Why Windows 10 Might Make You Switch to Linux 5 Reasons Why Windows 10 Might Make You Switch to Linux Despite Windows 10's huge takeup, there has been plenty of criticism for Microsoft's new everlasting operating system. Here are five top reasons why Windows 10 might irk you enough to make the switch to Linux. Read More . Seriously, we’re not kidding. There are so many annoying issues in Windows 10 8 Annoying Windows 10 Issues & How to Fix Them 8 Annoying Windows 10 Issues & How to Fix Them The upgrade to Windows 10 has been smooth for most, but some users will always encounter issues. Whether it's a flashing screen, network connectivity issues, or battery drain, it's time to resolve these problems. Read More and it’s amazing how little Microsoft seems to care. One of the bigger complaints is that Windows Defender can’t be disabled if you have Windows 10 Home. You can disable it temporarily, but it will automatically turn itself back on after a while. It does so for your own safety, of course, but it turns out that Windows Defender isn’t that great 5 Best Free Internet Security Suites for Windows 5 Best Free Internet Security Suites for Windows Which security suite do you trust the most? We look at five of the best free security suites for Windows, all of which offer anti-virus, anti-malware, and real-time protection features. Read More . One option is to upgrade from Home to Professional How to Upgrade from Windows 10 Home to Professional Edition How to Upgrade from Windows 10 Home to Professional Edition Windows 10 Home users are missing several subtle features. Pro users, for example, can temporarily defer Windows updates. We show you how you can upgrade to the Pro edition to regain some control over Windows... Read More . Windows 10 Pro has the Local Group Policy Editor which will allow you to disable Windows Defender for good. Unfortunately, the upgrade costs $99. The other option is to install a third-party security suite. As long as the security suite is compatible, Windows Defender will detect it and disable itself. Windows 10 doesn’t care what you use to protect yourself as long as your system is protected by something. Not sure which one to use? Here’s our overview of reputable free antivirus solutions for Windows 10 The 8 Best Security Software for Windows 10 Malware Protection The 8 Best Security Software for Windows 10 Malware Protection Want to tighten security on your PC? It's a good idea, so take a look at these fantastic antivirus choices for Windows 10. Read More . Which security suite do you like the best? Which ones do you absolutely hate? Share your opinions with us down in the comments! Explore more about: Computer Security, Online Security, Windows 10, Windows Defender. My best choice is Eset Internet Security 2017, one of the best ones to protect desktops and laptops other devices with it. "The other option is to install a third-party security suite. As long as the security suite is compatible, Windows Defender will detect it and disable itself." In other words, Windows Defender is smart enough that you *can't* leave your PC *completely* unprotected. So what's the problem? Anyone who's stupid enough to think "I don't need antivirus/antimalware" is just part of the problem: their PC *will* get compromised and turned into a spambot. Yeah you're right Howard, Windows is just trying to protect you. Then again, I guess some just think that Windows Defender isn't any good to begin with, so might as well disable it. I can sympathize with both sides.